Over the next few days, here and on social media (follow me on Twitter), I'll be sharing some of my favorites websites. Enjoy! 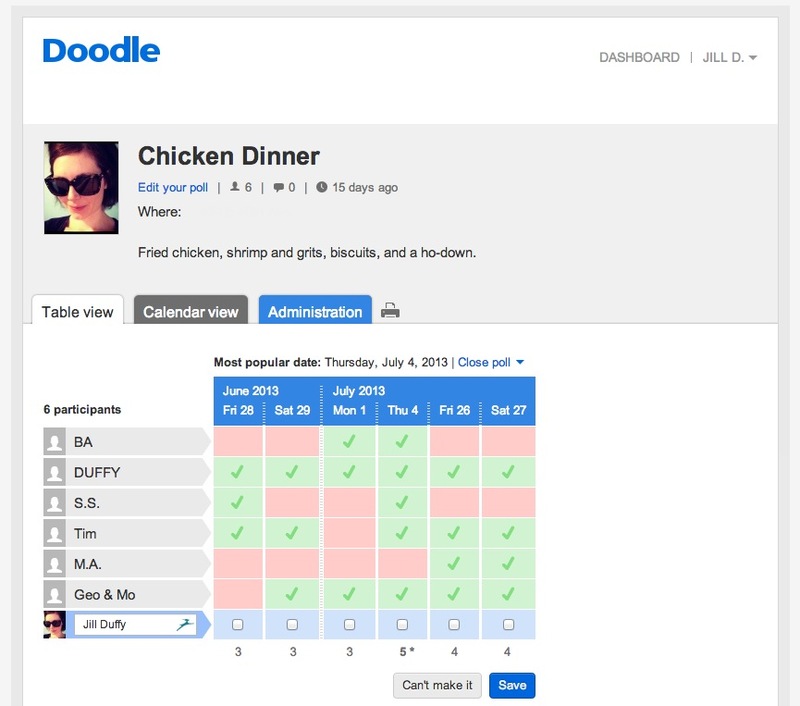 Doodle is a free website that helps you find a time when all your friends or colleagues are free for an event, meeting, or appointment. Go to Doodle.com, create a free account, and the site will walk you through the steps of making a poll. People can reach the poll from a URL that Doodles gives you, and the respondents don't have to be Doodle users to respond.